Pressure infusion devices are an essential item in hospitals and ambulances. All the more so when it comes to the high quality products from Riester, which excel by their particularly high degree of reliability and durability. 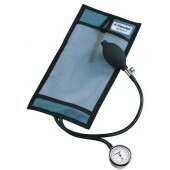 Pressure cuffs in combination with a manometer for producing pressure provide for optimal pressure infusions.